S.J. Bowe 2015. 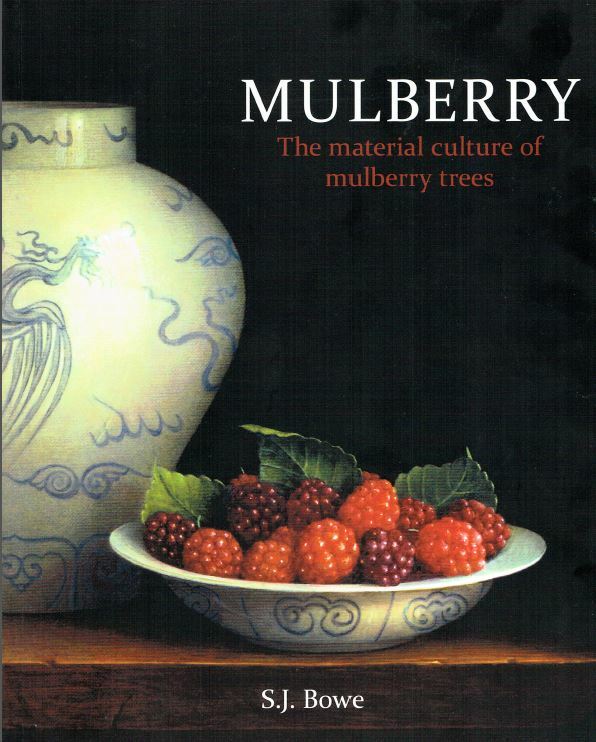 Mulberry, the material culture of mulberry trees. Liverpool University Press. 124pp. If ever there was an introduced tree that has such a fascinating historical record in the grand gardens of Britain it is the mulberry. The book looks at both the white and black mulberry species and how they are wound up in the silk industry and associated with people such as James 1 and Shakespeare as well as Morris, More and Milton. The unique part of the book is its approach to the use of mulberry in the Japanese sashimono furniture tradition, highly regarded and often used in the tea ceremony. It is beautifully illustrated in colour showing many artefacts such as whisk shapers, tea containers all made from mulberry. This is a serious, almost academic book though accessible for general readership – the author is Senior Lecturer at Liverpool John Moores University – magnificently published and ideal for dendrologists, especially those keen on the historical perspective of the Morus genus, as well as antique dealers and enthusiasts of Japanese art. Each of the five chapters has exhaustive references and there is a good bibliography and useful list of 100 UK gardens where mulberries continue the tradition.